Starting from the top, pull your hair into a ponytail and secure with an elastic/covered band. Then, twist the loose hair around the band tightly. 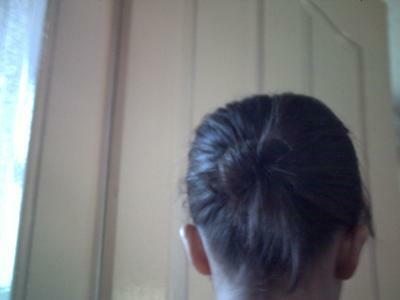 If you have little bits sticking out, get some hair pins and pin the sticking out bits onto the bun. Use an Insette hair spray to spritz back any loose tendrils.